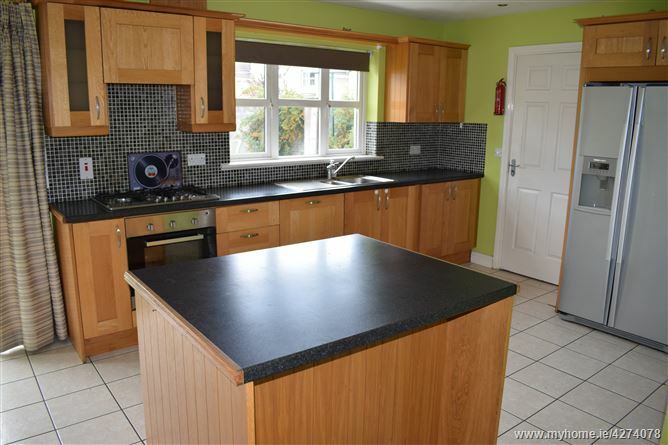 DNG McCormack are delighted to present this spacious, 4-bedroom, detached family home to the market. 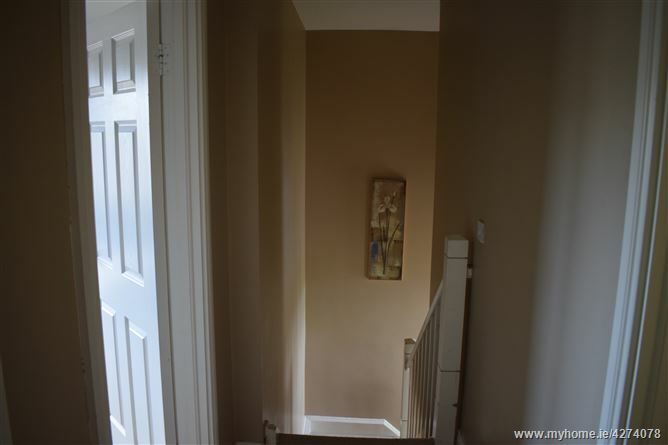 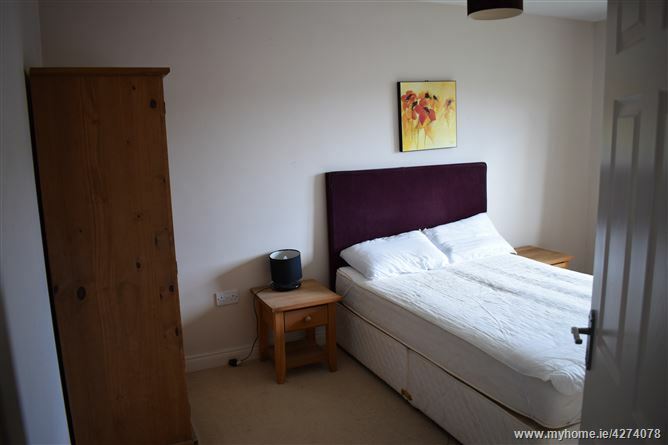 In beautiful condition throughout, highlights include attractive clean modern decor, wood and ceramic flooring, maple shaker-style kitchen units with breakfast island, and built in wardrobes. 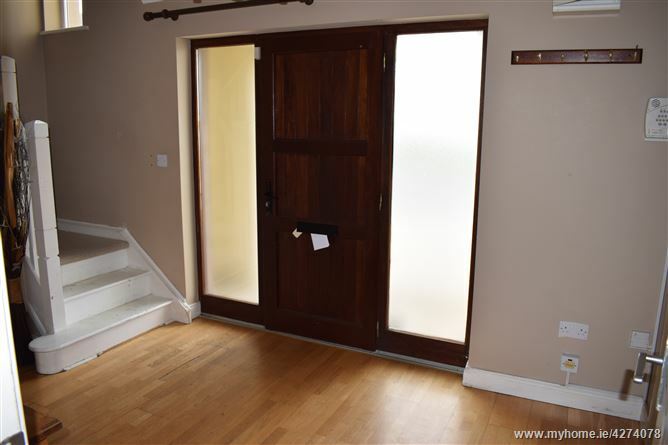 Accommodation comprises, hallway, living room, kitchen/diner, utility room, guest WC, 4-bedrooms (master en-suite), family bathroom. 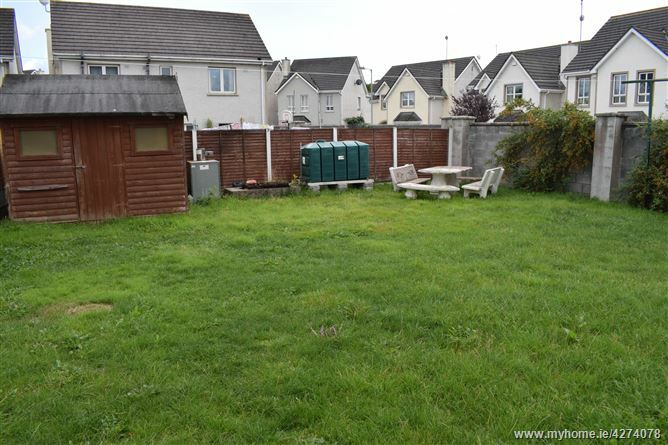 There is off-street parking to the front and a large rear garden with shed. 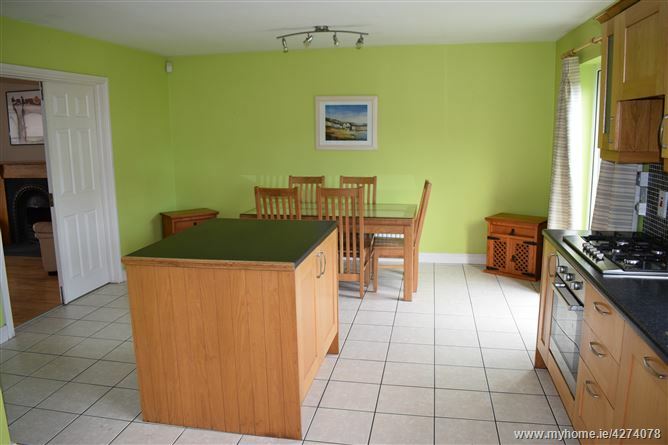 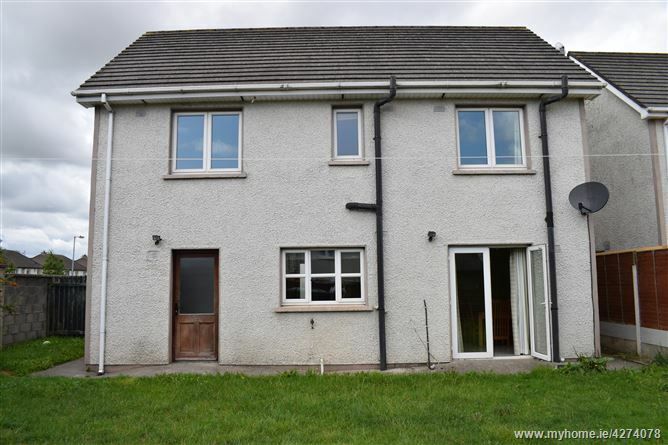 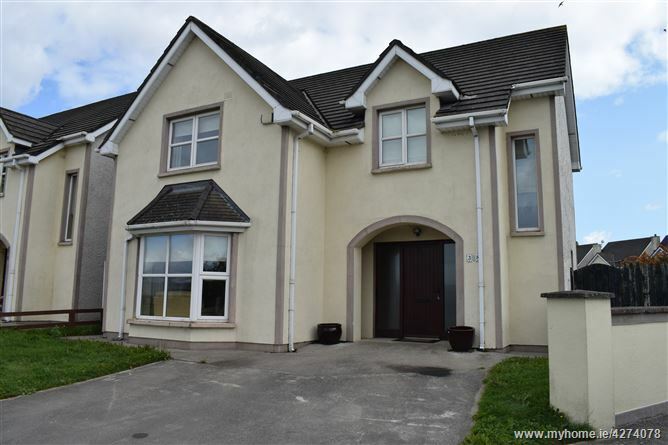 Cuanahowan is a pleasant, well-maintained development just a short walk to Tullow town amenities. 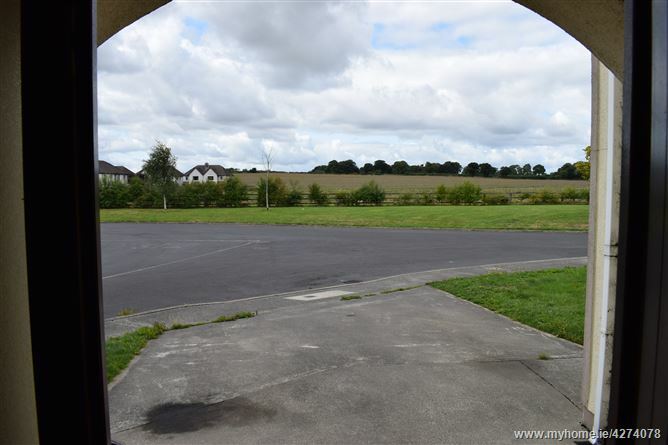 Number 38 is in an excellent position within the development itself, overlooking fields to the front. 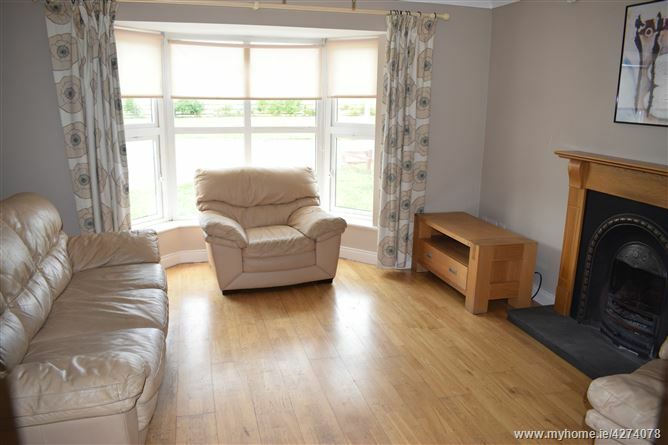 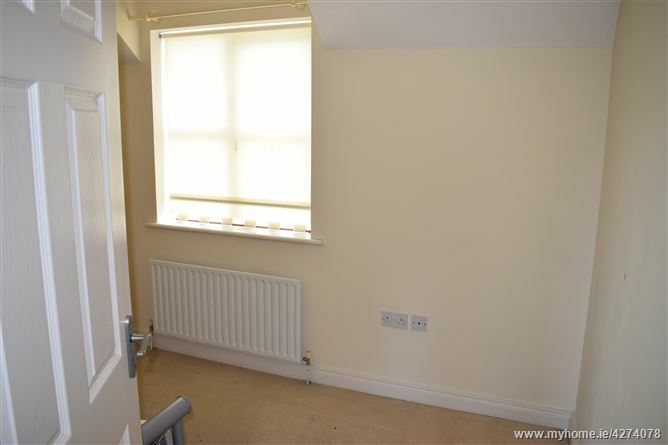 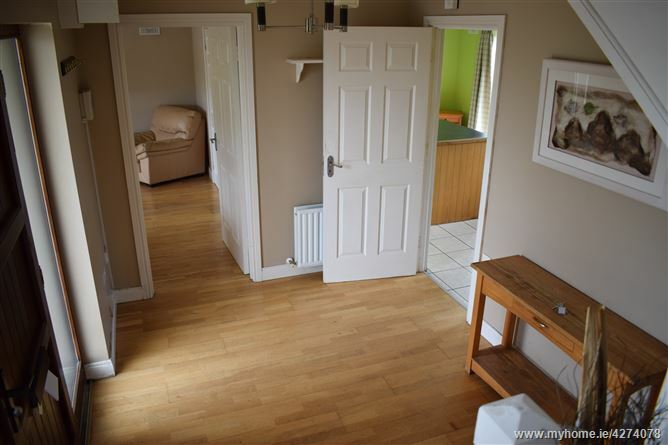 Bright open area, wood flooring, alarm pad. 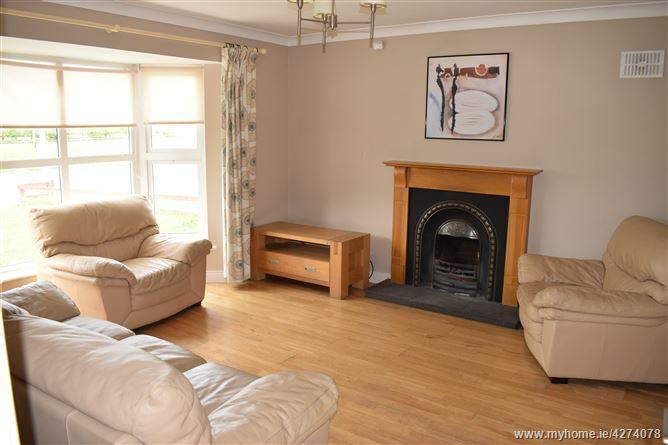 Wood flooring, open fireplace with cast-iron and wood surround, coving, bay window, TV point. 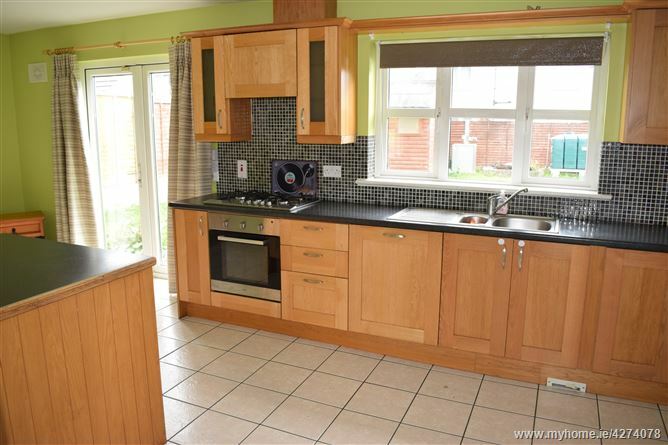 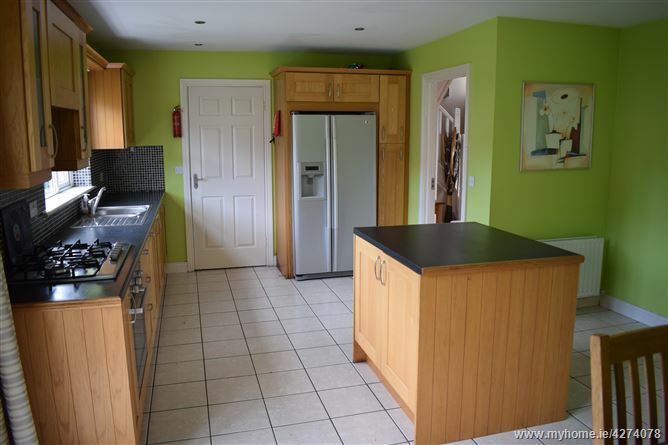 Tiled floor, fully fitted maple shaker-style kitchen units, centre island, mosaic tiled splashback, integrated appliances, double doors to living room, French doors to rear garden. 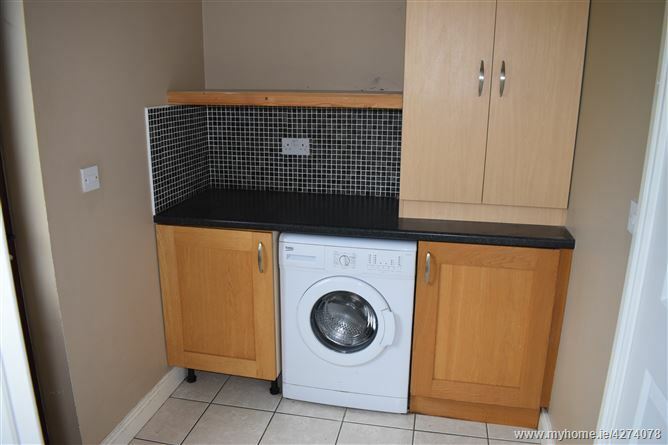 Tiled floor, built-in storage, counter-top, mosaic tiled splashback, plumbed and wired for all utilities, back door. 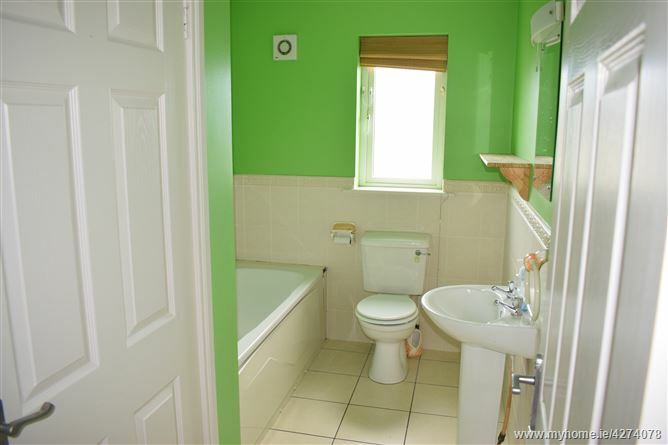 Tiled floor, WC, WHB, window. 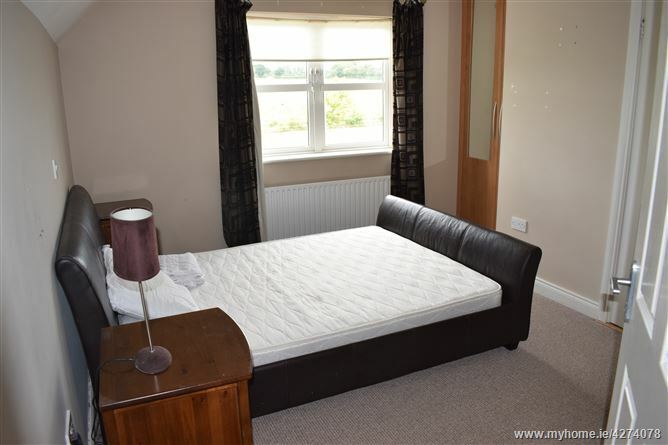 Carpeted, built-in wardrobes, front aspect, en-suite. 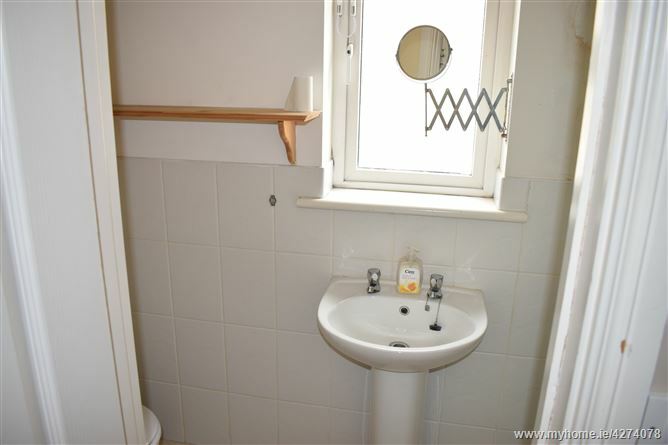 WC, WHB, shower, partially tiled walls, window. 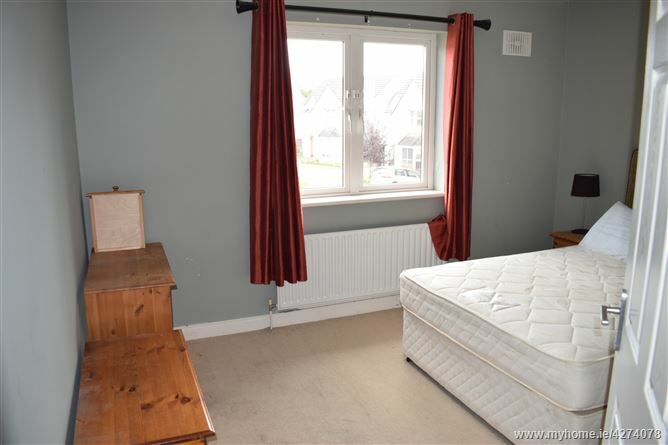 Carpeted, built-in wardrobes, rear aspect. 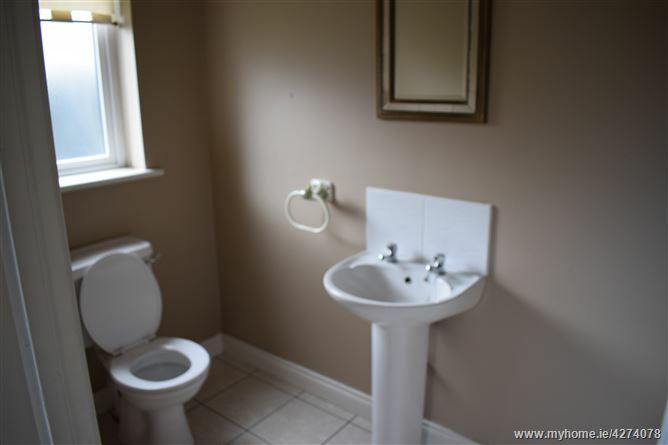 Tiled floor, partially tiled walls, WC, WHB, bath, hotpress.